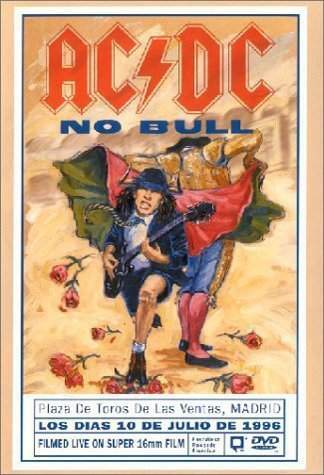 Download AC/DC: No Bull movie for iPod/iPhone/iPad in hd, Divx, DVD or watch online. 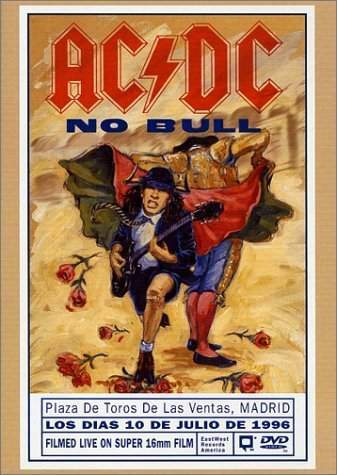 This 123 minute DVD features the great metal band, live from a Madrid bull-ring in July of 1996 and includes 20 of the band's top songs, spanning their 20 year career. 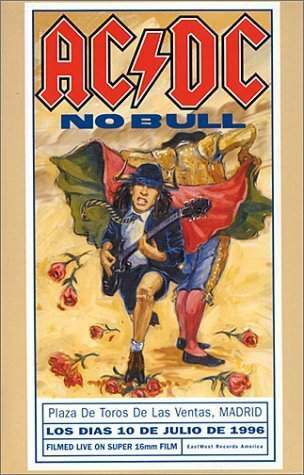 Bonus footage is also included and the DVD features DVD9-Dolby Digital 5.0 Surround Sound and Advanced Resolution Stereo; also the "Hard as a Rock" video and making of "Hard as a Rock," as well as band interviews, lyrics, subtitles and closed captioning. 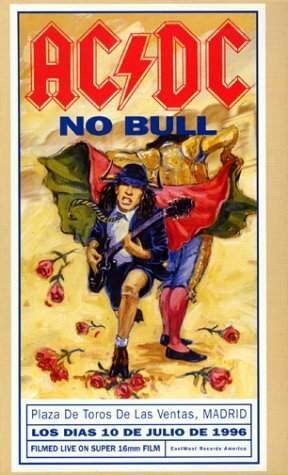 Australian hard rockers AC/DC were one of the hugest arena bands of the 1970s. 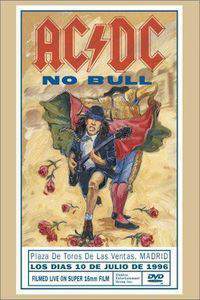 This two-hour long concert video features the Aussie quintet rocking out to 22 of their songs. 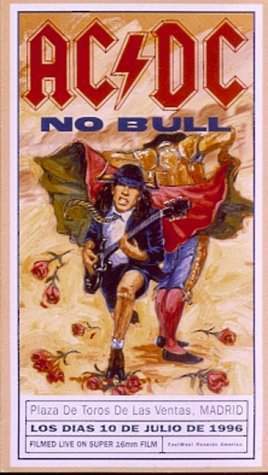 Filmed live on July 19, 1996 at the Plaza De Toro De Las Ventas (a remarkable space usually designated for bull fights), this footage showcases Angus Young at his sleazy best!